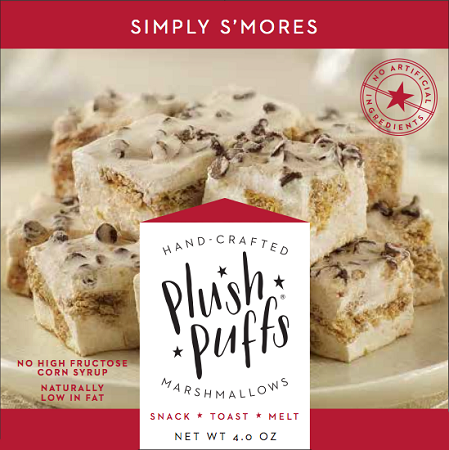 Imagine all the delectable ingredients of a s'more in one heavenly puff! 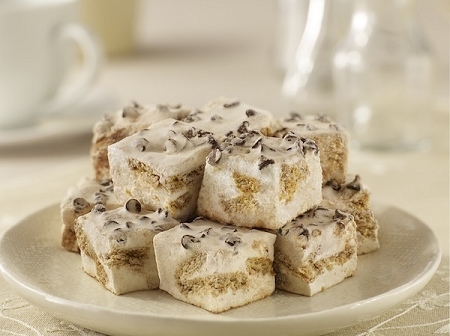 Our smooth Vanilla Bean marshmallow mixed with all-natural pieces of graham, a dusting of cocoa powder, and topped with mini chocolate chips, creates savory and textural perfection. 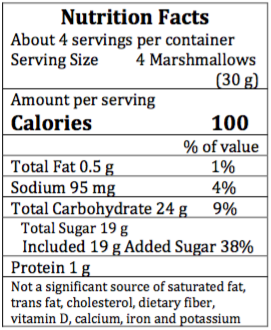 INGREDIENTS: CANE SUGAR, INVERT SUGAR, WATER, BROWN RICE SYRUP, GRAHAM CRACKER (ORGANIC WHEAT FLOUR, ORGANIC CANE SUGAR, ORGANIC EXPELLER PRESSED SAFFLOWER SEED OIL, ORGANIC WHOLE WHEAT FLOUR, ORGANIC MOLASSES, ORGANIC HONEY, LEAVENING [SODIUM BICARBONATE, AMMONIUM BICARBONATE], SEA SALT, CREAM OF TARTAR, CITRIC ACID), SEMISWEET CHOCOLATE (SUGAR, CHOCOLATE LIQUOR, COCOA BUTTER, SOY LECITHIN, VANILLA, SALT), GELATIN, RICE STARCH, VANILLA EXTRACT, COCOA POWDER PROCESSED WITH ALKALI, SALT, CORN STARCH AND NATURAL FLAVOR.